Live Photos are great and all, but they are limited. You can’t edit or add filters and effects to them like you can to regular static photos. But now thanks to a new app, not only can you edit the Live Photos without having to lose the video and audio part, but can also apply Instagram-like filters and effects. Those of you who have tried editing Live Photos in the stock Photos app would be familiar with the end result. Once you start editing, the photo is turned into a static image, losing those all important audio and video bits in the process. 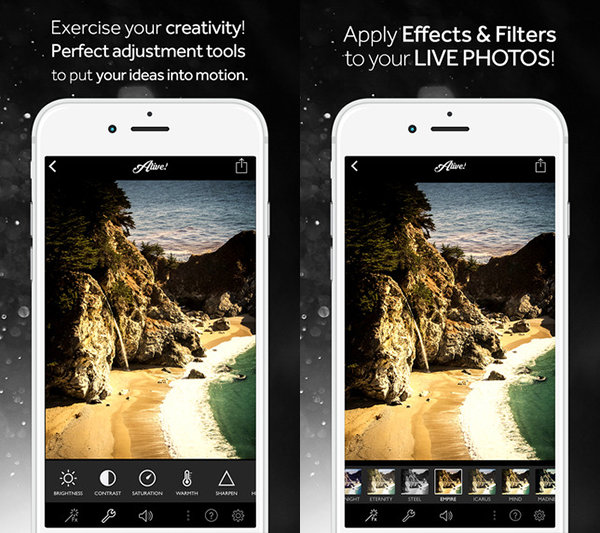 Enter Alive!, the app offers over 29 different filters which you can apply on your Live Photos just like you would on any regular static photos. The developers have also built in the ability to increase or decrease “Brightness, Contrast, Saturation, Warmth, Sharpen, Highlights, Shadows, and Vignette” so that you can give your animated photos that personalized touch. 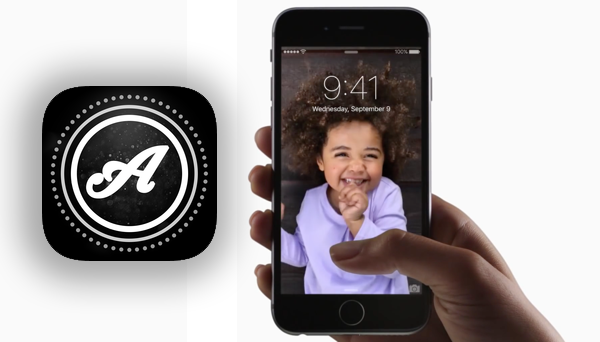 Another key element that this app lets you change is audio volume for Live Photos. Want to remove the audio bit from a noisy Live Photo without losing the video bits? No problem, you can do that with this app. In addition to all this, Alive! will also let you convert your Live Photo into a GIF or video file, whichever you prefer, so that you can share them easily with your friends who don’t have any of Apple’s iOS devices. Last but not least, if you ever feel the need to save your creation as a static photo, you can do that as well. 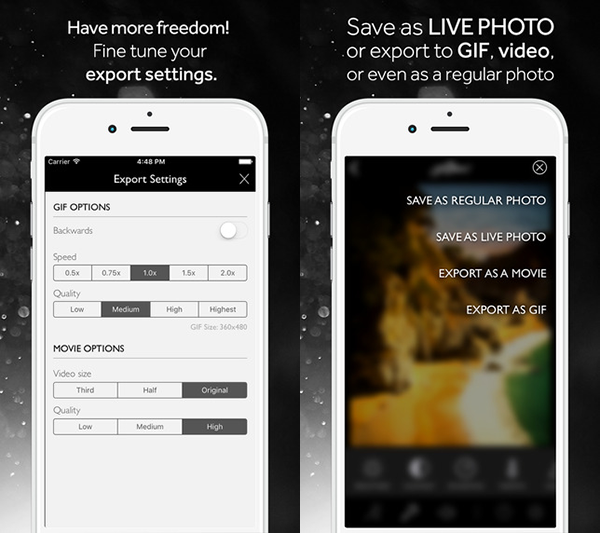 GIF and video export settings can also be tweaked, such as video or GIF’s quality, speed and more. Alive! definitely packs the right functions and tools to make it that must have app on your iPhone 6s or iPhone 6s Plus. You can check out the app in action in the video embedded below. Alive! can be grabbed from the App Store for $1.99.